By its very definition, any kind of creative writing is subjective. Yet, there are understood and recognized rules to be followed…and then broken by those writers who have good reasons for doing so. Despite the relative creative license allowed to writers, there are some things that should be avoided in almost all cases. Everyone’s got an opinion on what these are, but here are three simple writing tips, each in different categories. To each his or her own when it comes to how you go about writing. Maybe you write 1,000 words a day, only write on weekends, use an outline, or go off the cuff. Do what works for you, but one thing that I see tripping writers up all over the place is editing as they write. There are many ways in which the advent of home computers has changed the writing process, from the speed in which the words themselves can now make it on the page, to the way our brains think as they do so. With the backspace key so easily accessible and colored squiggles appearing at every intentional sentence fragment or made-up word, it’s hard not to edit as you go. However, nothing breaks up the creative flow of the process more than stop-starting and switching the brain over to its analytical side to make sure Chapter 1 is perfect before moving on to Chapter 2. The solution is simple: don’t do it. Though easier implemented in the days of typewriters and longhand, it’s still possible to do today. Don’t worry about typos—you can fix them later. If the perfect line of dialogue or description is escaping you, jot down a few options and choose the best one later, when you yourself have a better idea of where the book is going. Get the full picture before you obsess over the minutiae. This is a mistake I see all the time when editing manuscripts. Most manuscripts are written from one point of view at a time. In scenes where more than one character is present, many writers will misrepresent the limits of one character’s perspective. By this, I mean that Character A’s narration will describe Character B’s thoughts or reactions with (impossible) absolute authority, adversely affecting how realistic the narrative is. Character A smiled to himself as Character B opened her gift. He was sure she would love it. Character B tore the paper off and when the contents were revealed, she was disappointed. Character A smiled to himself as Character B opened her gift. He was sure she would love it. Character B tore the paper off and when the contents were revealed, she betrayed a look of disappointment. Character A can only ever infer what Character B is feeling. As a writer you can show this through observation. This mistake seems like a small one, but one that crops up very frequently. Keep your narrative realistic (even fantasy and sci-fi) and the story you are telling will be more believable. Beyond avoiding words like “intoned” and “uttered” peppered in for variety and nothing more, adding extra and unnecessary adjectives and adverbs to “said” is often distracting more than it is helpful. Fifth grade teachers would have us all believe otherwise, but nine times out of ten, the best way to write a line of dialogue is to be as simple as possible with a plain “said Character A.” If it’s possible to show that a line was said by a certain character without even having to come out and say it at all, whether by what’s included in the line itself or the actions surrounding it, that’s even better. At the end of the day, these are only three “mistakes”, and I’d put money down that there are books out there that do all three to great success. However, if you follow these writing tips—write freely and worry about mistakes later, stay close to your characters’ perspectives, and avoid clunky and unnecessary description—I can guarantee your writing will be better for it. 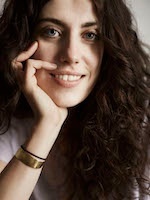 Rachel Stout is a writer for New York Book Editors, an editorial service that connects authors to veteran industry editors. That’s a fancy way of saying they’re nerdy matchmakers. They help authors find editors who are passionate about their work, which is when the magic happens.